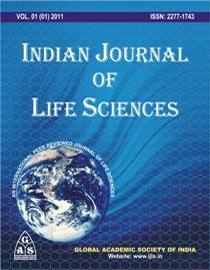 Indian Journal of Life Sciences (IJLS), an indexed and peer reviewed multidisciplinary scientific journal of Science and Technology, invites applications from the interested researchers/ academicians to be included in the list of Referees/ Experts/ Reviewers of the journal. The editorial board will be pleased to accept services of the honorable selected applicants as Referee/ Expert/ Reviewer from different fraternity/ specialty. It is desired that applicants should fulfill the criteria of having at least ten research papers published in indexed journals in their field of specialization/ expertise. Applicants are requested to send their duly signed detailed resume along with their application/ covering letter by electronic mail at ijls100@gmail.com or ijls1@yahoo.com . The decision of the editorial board regarding acceptance/ rejection of the applications will be the final one. Your suggestions are always valuable for us. All application must be submitted by email to ijls100@gmail.com, ijls1@yahoo.com.